This donation page has been established to help Cornel Moiceanu , our cousin and my daughter's Godfather , and his family during this difficult time. 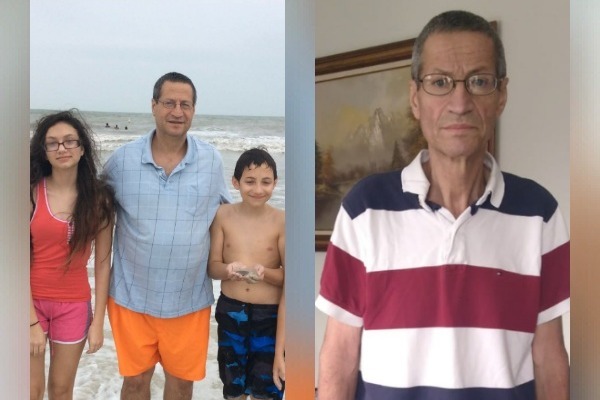 On January 30th, 2019 Cornel received the terrible news that he has Stage 3 lung cancer. Since the tumor is too big to have surgery, the doctors recommended radiation and chemotherapy. In the last couple of months Cornel has lost more than 35 kg (77 lbs), and feels very weak. He was worried about starting radiation and chemo, so he has decided to start an alternative cancer treatment for the beginning. Due to his illness, he cannot work and now he is concerned for his family's future living expenses, as well as for his treatment expenses. Cornel is an amazing and kindhearted father, husband, and friend who would never hesitate to help a friend in need. As this is an extremely difficult time for him and his family, I ask that you please support Cornel and his family as they face this difficult journey together. By raising funds for him and his family, I hope to ease some of the stress and financial pressure they will face with these new challenges. Any prayers and donation will be greatly appreciated, and if you feel comfortable, please consider sharing this.